Let's take a look into the world of anti-vaccine discussion on Twitter. The first challenge here is to find the tweets; there's no obvious hashtag or term guaranteed to be exclusively associated with #antivax tweets. 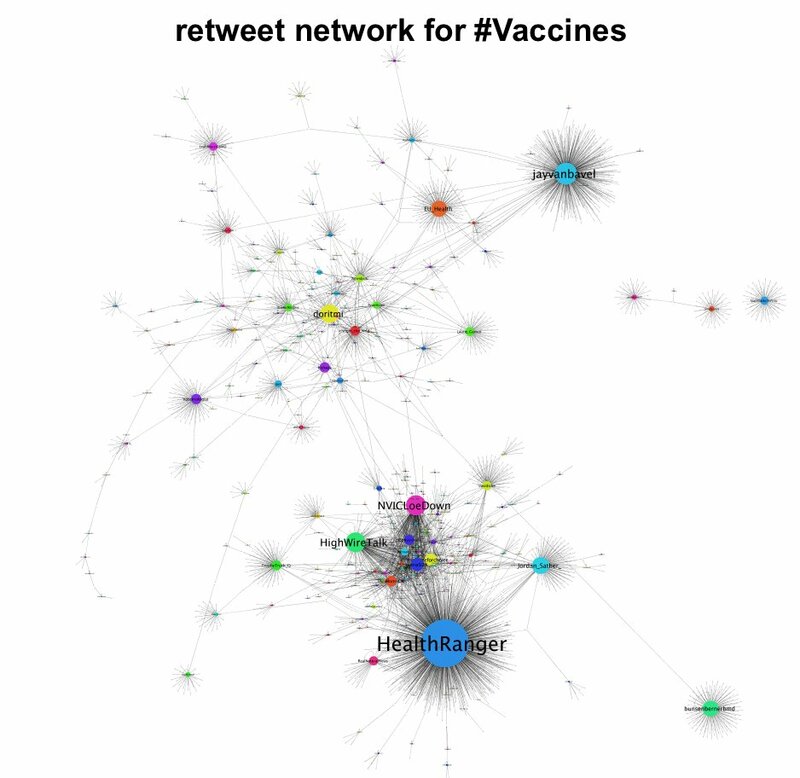 A manual review of tweets indicates that #antivax, #vaccine, and #vaccines are all hashtags that occur frequently in anti-vaccine tweets. 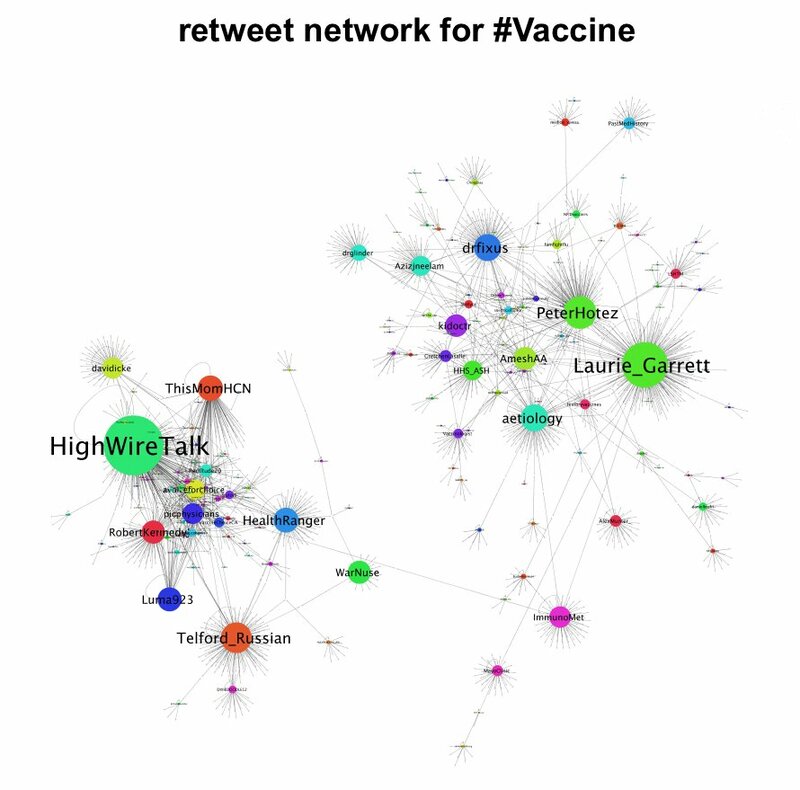 However, there are lot of false positives (pro-vaccine tweets) in this dataset. How do we isolate the content we're interested in? Plotting the retweet networks provides a solution. All three hashtags have networks that split into pro and anti-vaccine sections. 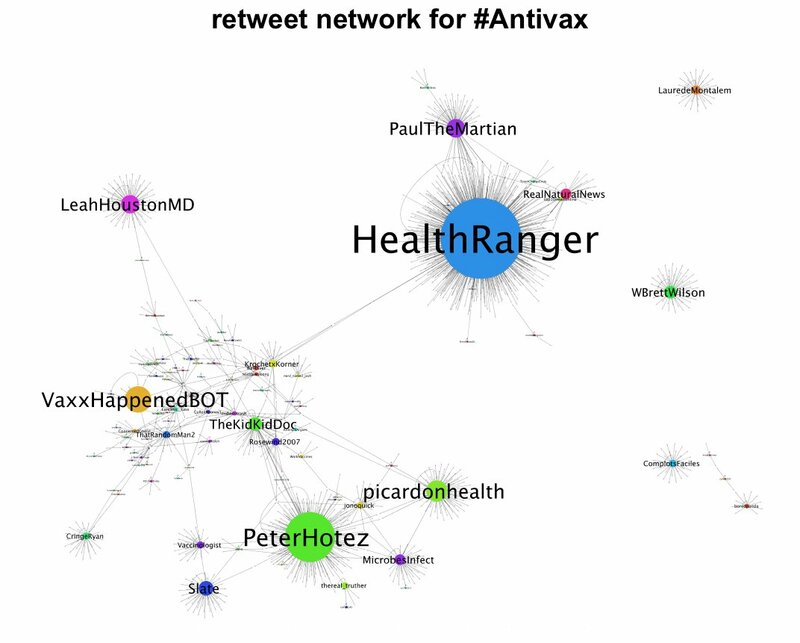 We can filter out the tweets from the accounts outside the #antivax section to obtain the desired dataset.